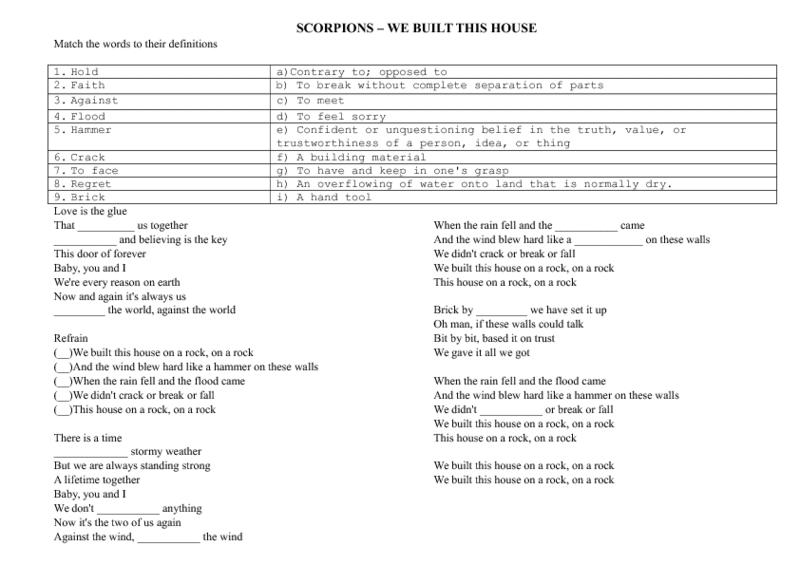 This worksheet is created for pre-intermediate students. 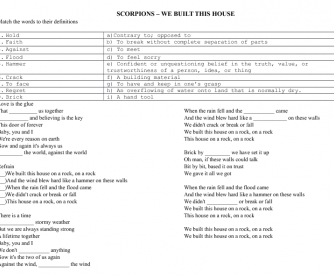 With the help of this song you can practise listening skills and learn/revise some vocabulary. It contains matching and fill-the-gaps tasks. All is changeable, so use it for your own need. Hope, it will be useful. Enjoy!